Is the Burka debate really about the rights of Muslim women? Belgium, France, Netherlands and Switzerland have all brought some form of legislation to outlaw the wearing of the Muslim burka and with Sky News reporting yesterday that 67% of Britons agree with a burka ban this controversial debate is set to hit Britain. When French MPs voted in favour of banning Muslim women from wearing the veil over their face last week their controversial move followed measures taken by other European countries to make it illegal for Muslim women to wear the burka. In April this year Belgium became the first European country to ban the wearing of the burka in public. I argued that Europe’s response to the burka was contradictory because before the 9/11 attacks there was no interest in the so called rights of Muslim women. There was no media hype about the burka. Yesterday Sky News reported that 67% of Britons were in favour of the burka ban in this country sparking an inevitable debate about whether the British government should also follow suit. Is this really about the rights of Muslim women? Is this really about integrating Muslim women into European society? Whatever conclusions you may reach what is certain is that Europe’s patronising judgement upon Muslim culture is hypocritical when you look at the statistics regarding how they treat their own women. What is also patronising for Muslims is the fact that Muslim men and women are rarely consulted on this issue. As far as Europeans are concerned they are enlightened and other cultures should catch up, at least that is the impression that is given. While Dr Hargey does have a point about the full facial burka not being a Koranic requirement or religious symbol he ignores the clear political implications that seems to be behind the burka ban in Europe and it sets a dangerous precedent. In that last quote by Wilders his arrogance is apparent, only the Western world is ‘free’ as he puts it. According to Sky News today Conservative MP Philip Hollobone said that he will refuse to hold meetings with Muslim women who wear a face veil in an interview he had with The Independent. Whatever your view on Muslim women wearing the face veil politics should not dictate public policy and on this issue there is a clear argument that anti-burka legislation is fuelled by politics rather than genuine debate. What is ironic about the issue of Muslim women and whether they are being oppressed is the fact that the very people who claim that they want to ‘liberate’ them have their own shortcomings when it comes to female equality in their own countries. In France an Inter Press News Service report by Alecia D McKenzie (November 25, 2009) mentioned that one woman is killed every three days because of domestic violence. I wonder if the same people in the statistics mentioned are opposed to Muslim women wearing the burka? Is the burka debate in Europe really about the rights of Muslim women or about Western cultural arrogance? For this debate to move forward Muslim men and women must play a pivotal role in deciding for themselves what is and is not oppressive. Politics has no place in this debate. This entry was posted in Religion and tagged Burka ban, Dutch lawmaker Geert Wilders, Muslim Burka, Muslim veil, hijab. Bookmark the permalink. Britain is all about freedom, so if muslim women choose to wear the veil then they should be allowed to. 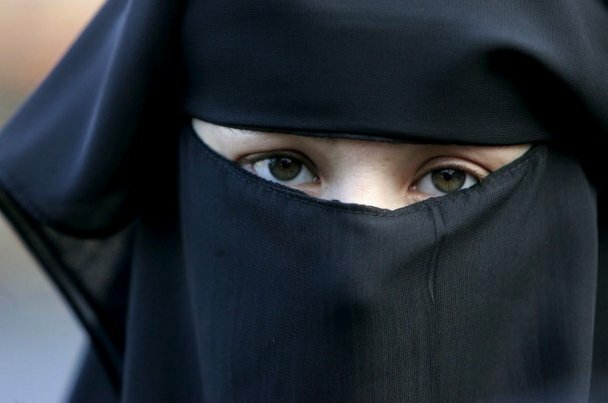 Syria bans face veils at universities. The niqab and the building of mosques have become the symbols of the Islamification of Europe and belatedly the politicians of Europe have begun to realise this. If Muslim women want to wear the burka or niqab they are free to do so in most Muslim countries. Consider this, that Christianity was forced on Africans and Asians by violence on the arrival of Europeans to these continents. This is a point that is never reflected upon by many whites when discussing this issue. Secondly, Europe is far from being overwhelmed with Muslims. According to Eurostat, a body that deals with providing statistics relating to the European Union in 2009 the European population stood at around 493 million, of that 493 million, the German Central Institute Islam Archive calculated that the total number of Muslims in Europe in 2007 was about 53 million, around 7.2% of the total population. The national statistics of South Africa estimated in July 2011, that whites amounted to 9% of the country’s population, coupled with the fact that many major cities in South Africa have white majority populations and 87% are Christians. This is just the statistics for South Africa and yet the white presence in Africa is greater than the Muslim presence in Europe, despite this however yourself and other Europeans are reacting as if you are being colonised, when the truth is indigenous Africans have a greater right to be worried about the presence of white immigrants in their continent as they were invaded and colonised. Non whites are in Europe as a result of centuries of European empire building and the exploitation of their country’s resources, which continues to this very day. If you want to confront the real enemy of the majority-white Europe you seek look no further than your governments and Western corporations who has been deceiving ordinary whites like yourself whilst plundering the resources of other countries, forcing the people of these countries to become dependent on aid, and having to seek work overseas to make ends meet. There lies the root to your immigrant problem, your government’s and British companies’ greed to maintain the wealth they have. Read this article http://www.minorityperspective.co.uk/2010/03/18/indians-only-job-advert-uncovers-exploitation-of-race-relations/ here I demonstrate how the capitalist classes exploit race relations whilst using cheap labour to increase their personal profits. So it is not that Mosques are being built instead of churches, the truth is less Britons go to church and believe in Christianity. My final point regarding Christianity. Read my article http://www.minorityperspective.co.uk/2010/03/22/black-pastor-to-take-on-bnp-leader-in-live-debate/#more-695 where I state that Christianity in Britain and Europe in general has been used to build lucrative capitalist empires, and not spread the true gospel of the early Christian fathers. It is no wonder that the far-right often identify Christian values with ‘white British values’ a concept which would be alien to Jesus and early Christians. Britain has never been a Christian country, in that it has never followed the true teachings of Christianity, so what whites are really defending is a pure, white Europe, not Christianity which has been distorted to fit into a European collective identity. Before you seek to rid Europe of Muslims you must first confront your own governments and companies that are responsible for many of them being here in the first place.